Triple Black Friday Deals starting 11/22 Thanksgiving Day! Check out our triple black friday deals. Not only are we offering 15% discount off everything on our site (restrictions apply), but we’re offering some big savings on Doorbusting Timebomb deals, and a huge selection of heavily discounted items! 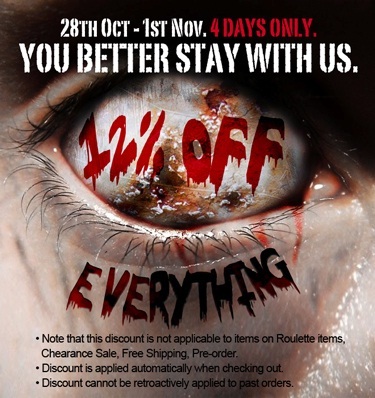 For only 4 days from October 28 through November 1st, enjoy a 12% discount off EVERYTHING on our site. The discount is applied automatically during checkout so you don’t need to fuss around with coupon codes! Just add to cart, checkout, and you’re done! 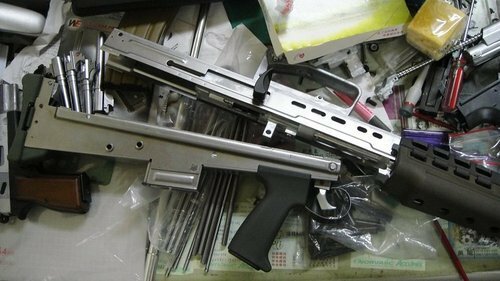 In another clear example of the Chinese authorities’ determination to eliminate Airsoft, the owners of Element have been arrested and sentenced to more than 5 years of prison time. It’s an unfortunate turn of events for this manufacturer, which was known for making low cost products. New WE L85 Gas Blowback Rifle – Awesome performance and great build! The new WE L85 gas blowback sets a new standard for gas blowback rifles with very good blowback performancea and excellent steel construction. Much loved by, well, mostly the Brits, this L85 adds to a lineup of very attractive gas blowback rifles from WE. A sign of many good things to come for gas blowback enthusiasts, WE is making a gas blowback version of the L85. This model is much sought after by people living in Queen’s country but the cold weather in Europe means that GBBs generally don’t perform all that well year round (except for those rare hot sunny days). But it’s a good sign nonetheless that manufacturers are not stopping their innovation! If most of you are like us, you’ve been waiting for a PMAG for your WA / G&P M4 gas blowback for some time. Finally, G&P made one and although it’s not made from the same high impact polymer that the real PMAGs are made from (G&P’s version is actually full metal due to the nature of gas blowback magazines). Still, it surely looks like part and completes your Magpul custom gun! 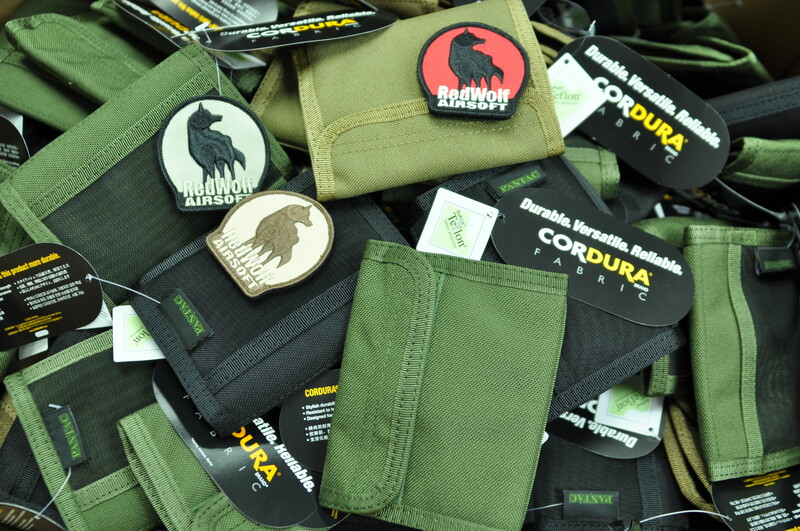 FREE REDWOLF patch with every order! 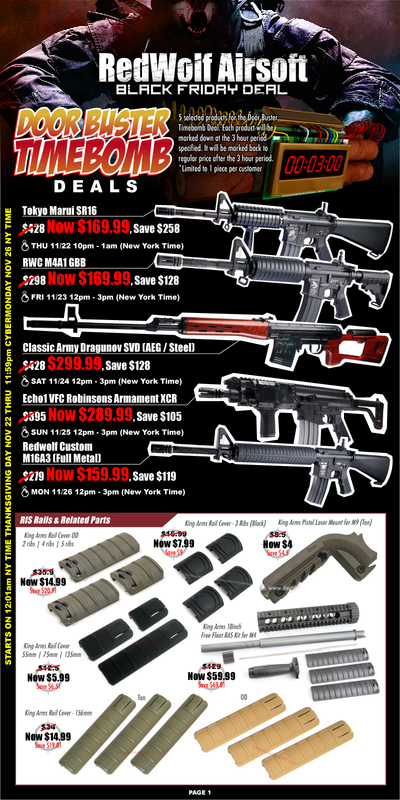 – FREE Magpul XTM Rail covers! Better get a bigger Christmas stocking! See full terms and conditions on Redwolf Website.